Michela has always nurtured her passion for arts, Eastern disciplines, and Yoga in particular. She has practiced Yoga for over 25 years. 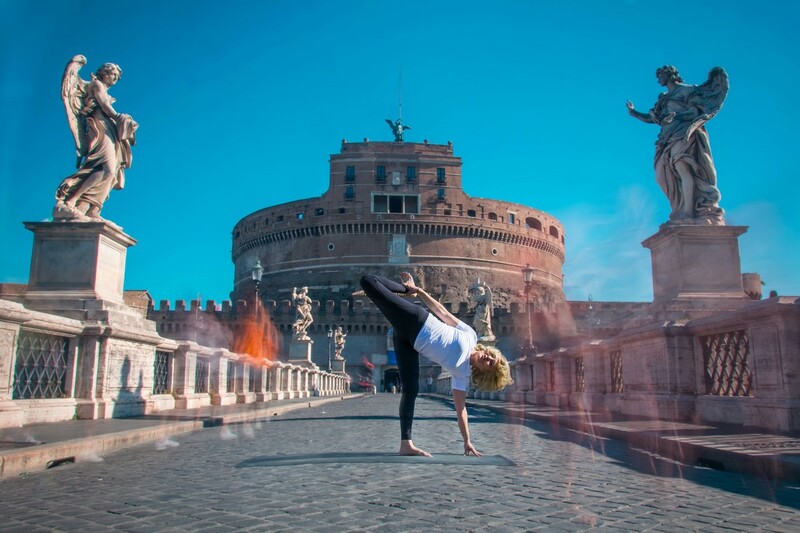 Michela obtained the title of RYT 500 Yoga teacher and the certificate of Prenatal yoga instructor at the Odaka Yoga School in Rome, after following the classes of the Masters Roberto Milletti and Francesca Cassia for years. In the course of her long teacher training, Michela has attended the seminars of some of the most important contemporary Yoga Masters, such as James D’Silva, Akira Watamoto, Duncan Wong, Mark Withwell, Patrick Oancia, Dickson Lau. Since October 2010, Michela has started teaching Yoga together with Flaminia Tolomeo, with whom she established the YogaArte® school, where they teach a new approach called Moving Yoga®. Michela has obtained the qualification of “Experienced Teacher”, recognized by CSEN, the Italian Sports promoting body, as well as the following titles: ERYT-500 GOLD DESIGNATION of YogaAlliance.it, E-RYT 500 (Experienced Registered Yoga Teacher) and YACEP (Yoga Alliance Continuing Education Provider) of YogaAlliance.org. Michela currently teaches Moving Yoga® at the SSD YogaArte® School, where she also holds classes for the Yoga Teacher Training Courses, multi-level classes, seminars, Yoga retreats.